Zenit St. Petersburg defeated CSKA Moscow at home, 93-86 (34-24, 18-20, 20-24, 21-18). 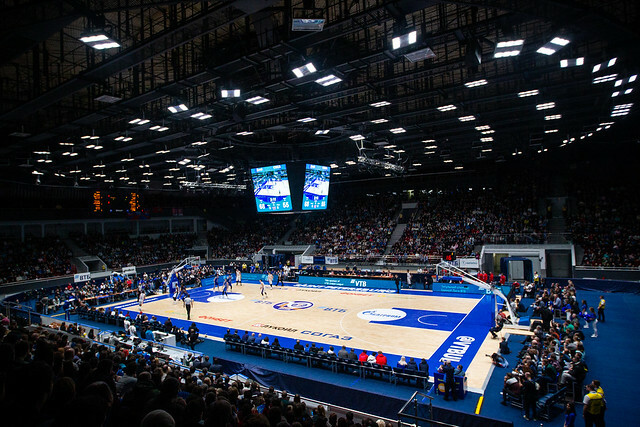 Zenit dealt CSKA its first loss of the season, leading the Army Men nearly the entire contest to give head coach Joan Plaza his first signature win at the club. Jalen Reynolds led St. Petersburg with 21 points and eight rebounds, shooting an impressive 9-10 from the field. CSKA, which entered the game at 13-0, never found its stroke from beyond the arc. The Army Men shot only 30% from downtown on 30 attempts, well below their season average of 42.7%. 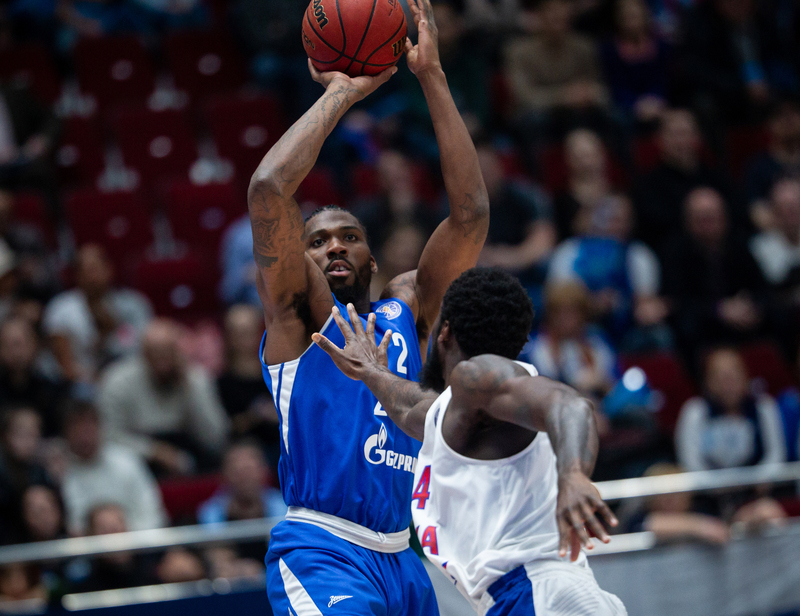 Trailing 16-13 at the six-minute mark of the 1st quarter, Zenit blitzed CSKA 21-8 to end the period. Sean Armand scored eight points in two minutes as St. Petersburg dropped 34 points on CSKA, leaving Dimitris Itoudis none too happy with his team’s performance at the break. Zenit dominated most of the 2nd quarter and looked set to take a double-digit lead into the break. But back-to-back triples from Mikhail Kulagin and Sergio Rodriguez gave CSKA life at halftime, 52-44. A 7-0 run early in the 3rd quarter cut Zenit’s lead to three, 55-52. But every time the Army Men threatened, St. Petersburg had a response. Vladislav Trushkin knocked down a triple and the home team extended the lead back to 10, 62-52, midway through the quarter. Trailing by as much as 13, CSKA cut the deficit to four to close the 3rd quarter, 62-58. Playing catch-up for more than 30 minutes, Moscow finally knotted the score at 82-82 on a layup from Rodriguez. But the visitors’ optimism quickly faded. Marko Simonovic answered with a triple before a 6-0 run in the final minutes stretched Zenit’s lead to seven, 91-84. Needing a miracle, CSKA came up empty down the stretch, missing its final six three-point attempts to fall to a 93-86 defeat, its first of the season. Zenit, meanwhile, improves to 8-5 and has won three straight under Plaza. 34 – number of points allowed by CSKA in the 1st quarter. That matches the second-most points allowed by CSKA in a quarter in VTB League competition (Moscow gave up 38 points to Avtodor in 2015). Jalen Reynolds. The center embodied Zenit’s burning desire to win on Sunday. He finished with a sparkling 21 points on 9-10 shooting, eight rebounds and four assists.